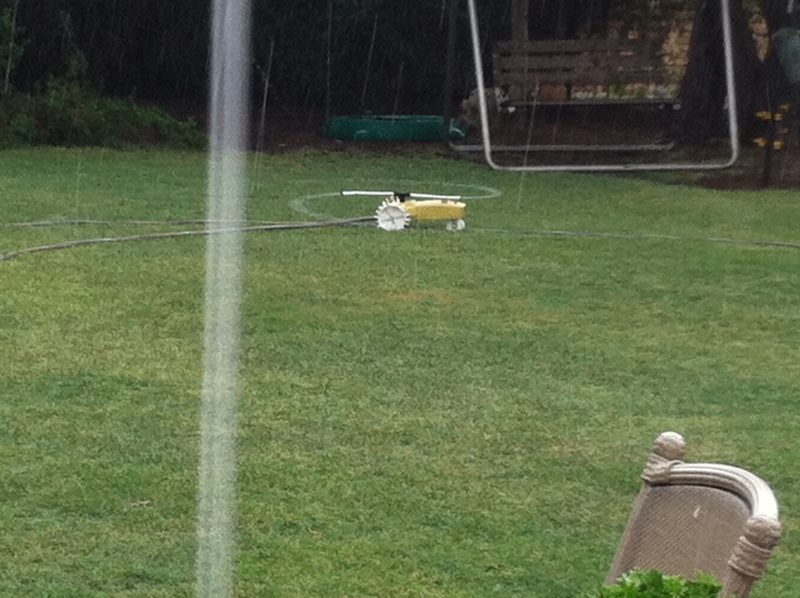 It started raining, well kind of misting on May 10. when it would stop I’d go out and look at the rain gauge… 2/10ths. sigh… need more. Then it would rain some more. then stop, I’d go check the train gauge again…1/10th… sigh … need more. It never did really RAIn just mist and sort of shower. IT was kinda cloudy rainy for 4 days. Over those 4 days I repeated this process until I poured out 8/10ths of rain 1 and 2/10ths at a time. Cuz I’m that impatient. I never turned the sprinklers off Friday morning. But I haven’t had to water until today! So it was NICE! It stopped Sunday night, Mother’s day.